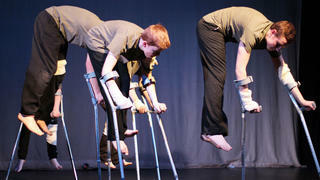 Thomasina is a mum of two boys who have been involved in various Boys Dancing projects for the last three years. 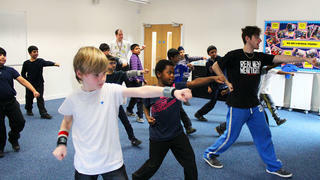 "I had actually already tried to persuade my son Dylan to try dance before as I thought he’d like it. There was a club at the school but it was a mixed boys and girls club, and it was run by a woman and he wasn’t having any of it! So when the letter came through about some dancing for boys happening, with a male teacher, I said: “Come on, have a go at this, it sounds really good.” I didn’t need to do any persuading after that because once he’d tried it, he was hooked! 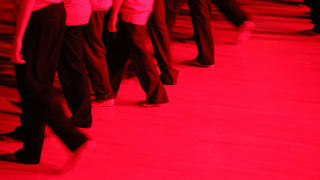 Being involved in Boys Dancing has influenced our whole family - it changed our family dynamic. It’s brought a different energy into our family and as a result of it we enjoy going to see dance as well. We like watching different types of dance, and we enjoy discussing it afterwards. 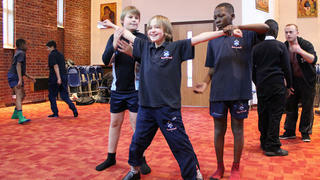 I find my boys are really informed and insightful in the way that they discuss dance, which I find quite stimulating. So their being involved has had a benefit on the whole family, really. 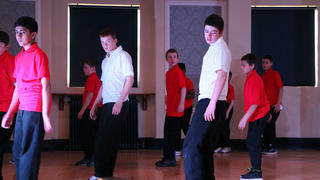 Seeing their confidence grow through doing Boys Dancing has been really fantastic. And this has been in more ways than just about dance. Dylan really grew as a person because he was confident about dance and realised he had something special about him, so he realised then that he had potential in other things as well. That gave him a more ‘can do’ attitude in his more academic work too. 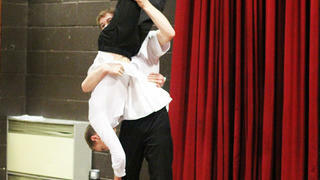 So I think he blossomed in other subjects at school as a result of taking part in dance. I really believe that it is transformative. 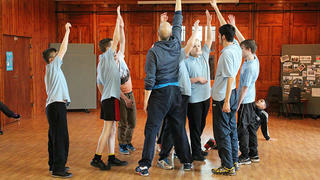 As well as growing in confidence, the skills they’ve learnt through the project are huge. They’re more focussed. Before, they were quite into their sport generally, but now Dylan in particular really takes his fitness seriously - doing press-ups in his bedroom to build up his upper body strength and all sorts of things. Being involved in a creative process has helped them think more creatively in class, too. There’s something about the way they learnt to think about movement creatively that transfers to problem-solving and thinking in different ways in class as well. The biggest challenge for me now is to continue to find opportunities for the boys to carry on with dancing, now they’re so into it! We live nowhere near a city, so we’re relatively deprived in terms of opportunities for things like this. 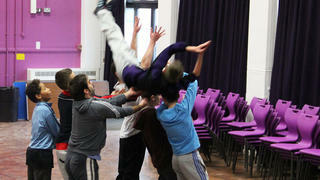 So the Boys Dancing work across Shropshire has been very unique and very special in providing opportunities like this locally. 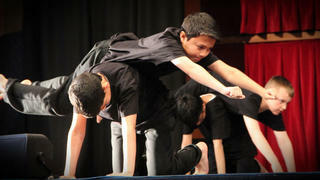 I would absolutely love to continue getting involved in things like Boys Dancing again. I have really seen the value in it, not just for my boys, but all the boys that have taken part over the last three years, from diverse backgrounds. It’s a really positive release for boys, being involved in that creative activity, and it being physical creative activity. I think that’s something that boys really tap into."